Please note the year of mintage may vary. Get your hands on this stunning Gold American Eagle coin, a favorite among collectors and investors around the world. These glossy proof finish coins have a limited mintage and are an excellent choice for coin collectors. 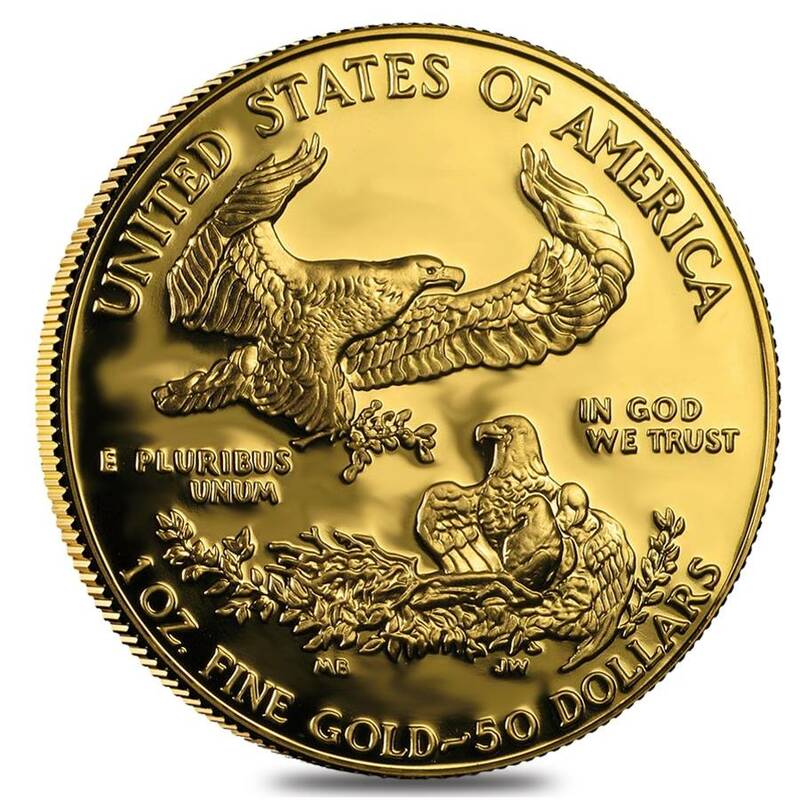 This stunning coin includes a bald eagle and Lady Liberty design and is backed by over 30 years of the high-quality, popularity, and demand you expect in Gold American Eagle coins. The obverse features the iconic Lady Liberty, walking out among the sun’s rays with her flaming torch and olive branch. Lady Liberty is known to embody enlightenment, victory, and peace to all. This version of Lady Liberty was initially featured on the 1907 $20 Gold Eagles and adapted from the design by Augustus Saint-Gaudens. The reverse displays a flying male bald eagle, carrying an olive branch to his family, a Miley Busiek design. Engravings include “The UNITED STATES OF AMERICA,” “E PLURIBUS UNUM,” “IN GOD WE TRUST,” along with the weight, purity, and denomination. Obverse: Features the iconic Lady Liberty, walking out among the sun’s rays with her flaming torch and olive branch. This version of Lady Liberty was initially featured on the 1907 $20 Gold Eagles and adapted from the design by Augustus Saint-Gaudens. Reverse: Displays a flying male bald eagle, carrying an olive branch to his family, a Miley Busiek design. Engravings include “The UNITED STATES OF AMERICA,” “E PLURIBUS UNUM,” “IN GOD WE TRUST,” along with the weight, purity, and denomination. Add value and rarity to your collection today with this Gold American Eagle coin. We will package and ship to you with the highest of care. 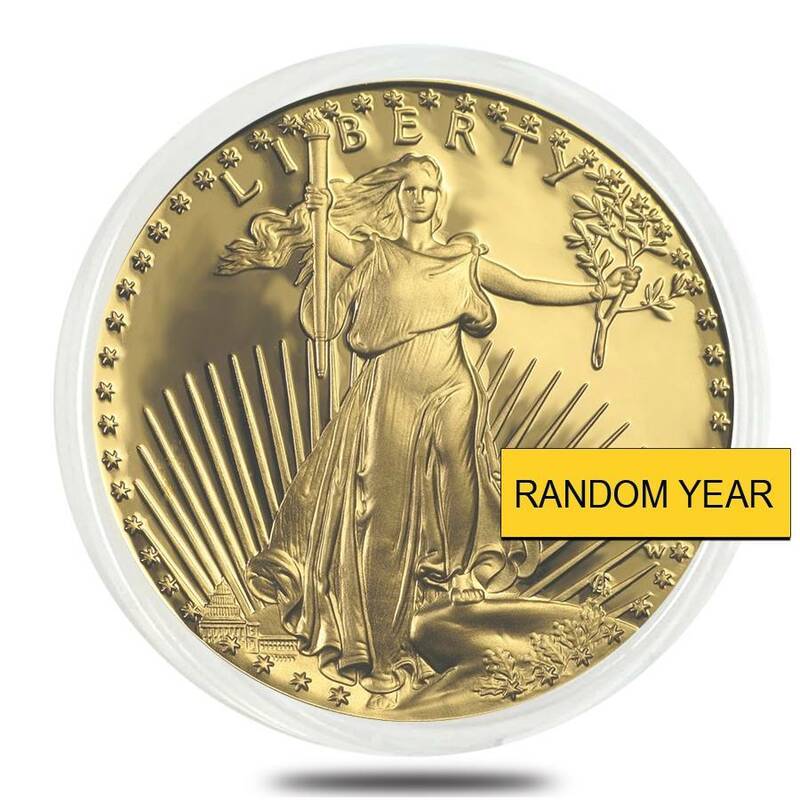 If you have any questions about any of our products, including this gold coin, reach out to us via chat or send an email to customerservice@bullionexchanges.com. Our friendly and knowledgeable associates are standing by to assist you. 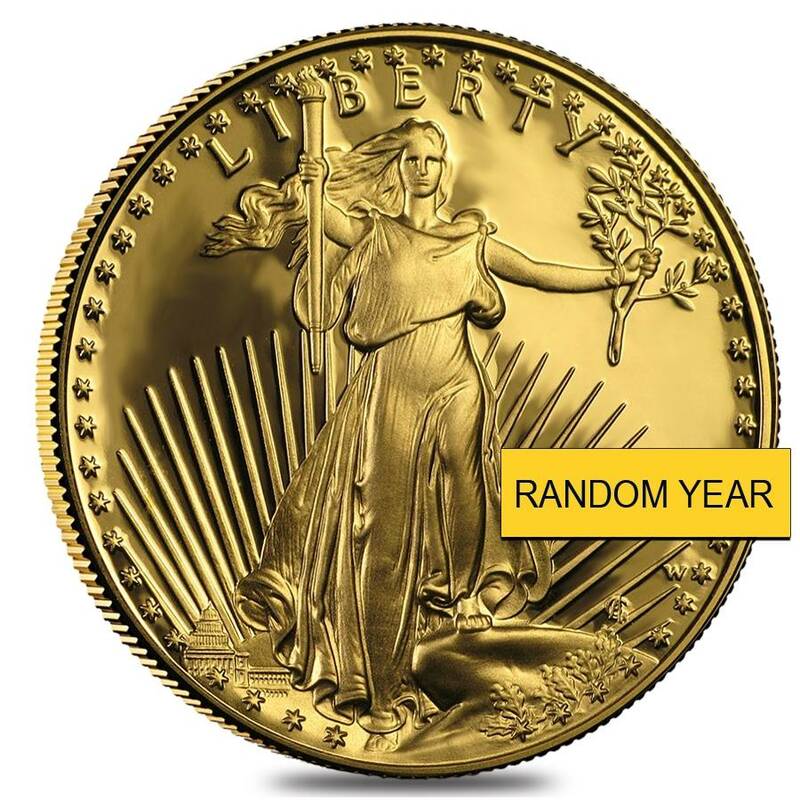 Thanks Bullion Exchanges, you have an excellent customer service team! With this purchase, you earn 1329 Bullionaire Bucks 1329 BB = $1.33. We currently have 19 of this item in stock. For every $1 spend, you will earn 1 Bullionaire Buck which is equivalent to $0.001 off a future purchase. 1329 BB = $1.33.